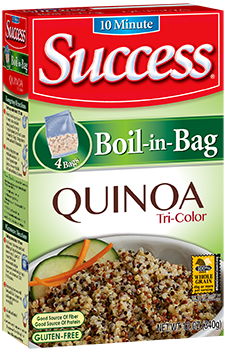 How do I find the production code date on a box of Success® Rice? How do I store uncooked Success® Rice for long term storage? It is best to store Success® Rice in a heavy plastic or glass container. For best long term storage, Success® Rice can be placed in the freezer or refrigerator. How long can I store cooked Success® Rice in the freezer? 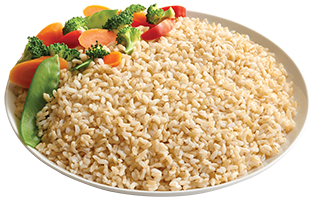 Cooked Success® Rice can be frozen up to six months. How long can I store uncooked Success® Rice in the freezer? Rice may be kept in the freezer for an extremely long time. Place in a freezer bag to protect from freezer burn and other freezer odors. What is the shelf life of uncooked Success® Rice? If stored properly and protected from infestation and extreme temperature fluctuations, instant boil-in-bag white and whole grain brown, boil-in-bag jasmine or basmati rice products may be maintained for long periods of time, but are BEST BY two years (730 days) after the date of manufacture. For best results, place the product in a sealed container and store in a cool, dry place.